The Chevrolet Silverado has been one of the top choices for pickup truck buyers for decades. A descendent of the old Chevy C/K pickup trucks, the new Chevy carries on the tradition of high quality with its 2014 Silverado 1500. Much of the truck has been redesigned in order to make a modern high quality vehicle that fits the bill for almost any job. While the Silverado 1500 shares many traits with the GMC Sierra 1500, it is definitely its own truck that has a distinct Chevy style. The new Silverado has three options for engines. There is a 4.3L V-6, 5.3L V-8, and a 6.2L V-8. All three engines fall under Chevy’s new small block family of engines called Ecotec3. The engines all have direct injection and cylinder deactivation. This means that sensors will shut down some of the cylinders when the truck doesn’t require full power. 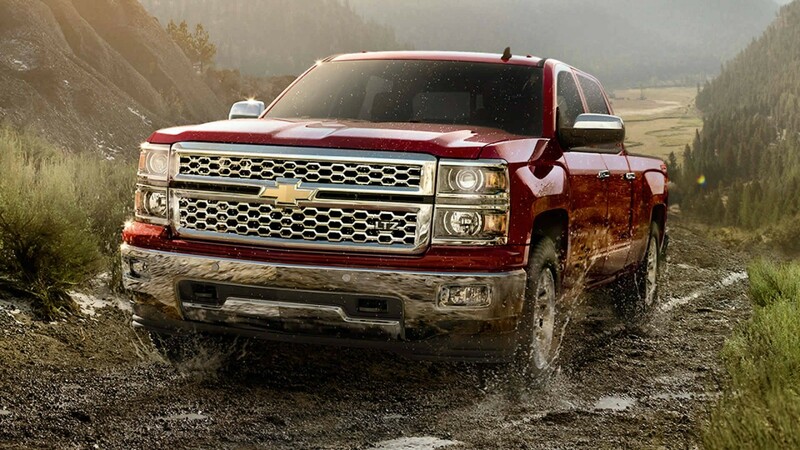 As a result of the new engine technology, the 2014 Silverado gets better fuel economy. For 2014, Chevy has made the Silverado’s hood look like it bulges up a little more, which, paired with the new grill and headlights, gives the Silverado a look that is bolder than the 2013 model. Also, the doors on the new Silverado have been redesigned. They have been inlaid with triple-sealed doors, which makes a more aerodynamic shape and helps to reduce the amount of road noise in the truck’s cabin. The interior of the Silverado has been redesigned for 2014. The interior offers a TFT screen located between the tachometer and the speedometer that gives the driver a number of different types of vehicle information like trip readings, fuel economy, and whether or not cylinder deactivation is on. Also located on the dash is the MyLink 8-inch touch screen that gives the driver access to radio, navigation, voice command, and allows the connection of a smartphone. Also incorporated into the 2014 Silverado is the Driver Alert Package. This package, also available on the GMC Sierra, alerts the driver with a seat vibration in the event of a Lane Departure Warning or a Forward Collision Alert. This technology makes the Silverado a very modern pickup truck. How do you feel about the new Chevy Silverado? Are the new changes all good changes? Are you ready to drive one? Check out local inventory here! Posted in Chevrolet, Silverado, Trucks and tagged 2014, Chevrole, Indiana, Silverado, Truck.